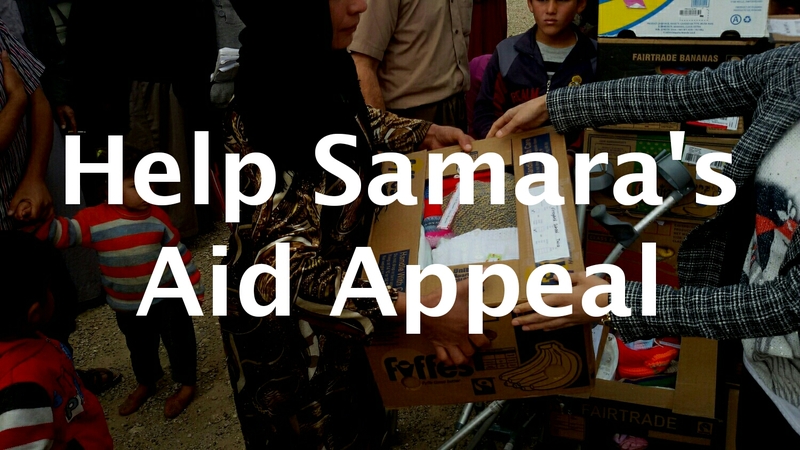 Samara’s Aid Appeal seeks the relief of suffering for families who have fled their homes to escape violence and persecution in Syria, Iraq, and the Middle East, through the provision of humanitarian and medical aid. They are malnourished, and babies have died of hypothermia in camps because there wasn’t enough humanitarian aid to serve their needs. The appeal started in August 2014 with an email to the mothers in Samara’s son’s year group, appealing for winter clothes and shoes to send to the people displaced in Iraq who lost everything when IS took their towns, cities and villages. It has quickly grown into a large humanitarian aid project. Between October 2014 – December 2016 they have sent 62 consignments carrying clothes, shoes, bedding, toiletries/hygiene items, essential medical equipment, ambulances and school equipment. They have also opened hospitals in Syria, and are working towards opening more. Much of the aid goes to the people in need of humanitarian relief that other aid agencies have missed, or people who are scattered across areas where they cannot access help themselves. The aid is taken to people who are in need, and their partners serve everyone in need regardless of their faith, political views, gender, ethnicity or other defining categories. Samara’s Aid Appeal’s aim is to demonstrate the unconditional love of God to people who are in desperate need, and everything sent is given freely to those in need with no expectations and no strings attached. To support this appeal, Ruth Elsdon is coordinating a collection of clothes & other items, to send in Samara’s Aid Appeal’s next consignment of aid. Donate money towards shipping costs, either by bringing cash to church, or online. Contribute towards a care package for a mother, baby, or family. Please speak to Ruth in church to sign up for this. BONUS OPPORTUNITY: For all you knitters out there, there is a specific knitting appeal. 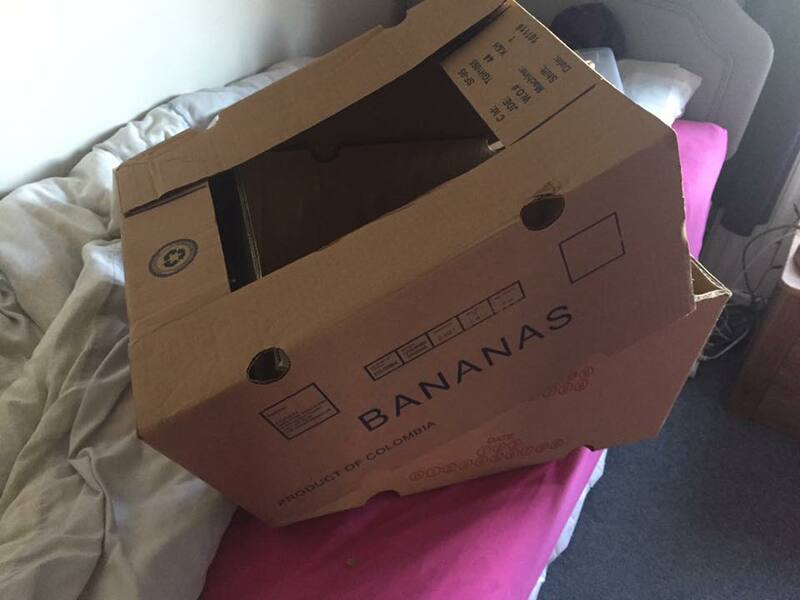 Pick up a banana box (or 10 ) when you’re at the supermarket. Photo below. We will need LOTS for packing! If you go to the grocery section and ask, they are normally happy to find some for you. You can bring them along to church. Even better if you could cover the holes at the top and bottom with paper or a plastic bag first! Do you or anyone you know of have a van (& maybe a happy driver too) we could use to transport the aid to Leeds to be shipped? Date TBC, but probably around the 20th Jan. Please speak to Ruth if you do. Come along and help sort and pack boxes on 18th and/or 19th Jan. Venue TBC but there will be something to nibble/drink and much cheer. Again, speak to Ruth if you can help with this. PLEASE WASH clothes and blankets, and clean and polish shoes before donating. Everything must be in excellent condition: working zips, buttons intact, stain free, no holes. Please also consider giving £5 per bag towards shipping costs as it costs about £6,500 to send each lorry to Iraq.